Yesterday, after a few farewell bike laps around White Lake State Park, we crawled into the car and across the mighty Kankamangus (for the second day in a row). The fragrance of lots and lots of soap wafted up from the back seat from a soon-to-be-fourth-grader (can that really be true?) who was disappointed that we would not be at Camp Wilmot at the earliest possible hour for dropping off. He demonstrated considerable maturity by not whining – too much – about that. We pulled up, and I waited for the faintest hint of uncertainty or doubt to creep in. Gone! For a week! From MEEEEEE!!!! This year, though, he was a pro. A returning camper. One in the know, as it were. He was excited about the BBQ chicken, the staying up late, the polar bear dances and did I mention the BBQ chicken? He bounded out of the car as soon as I put it in park and disappeared. Not only was he back on familiar turf, but he had the additional advantage of having no fewer than FOUR of his friends from school there to join him. To my great consternation I dropped him off wearing the same t-shirt he wore EVERY DAY last year. I admit to great curiosity about whether he’ll change it at all this year. Grey handily passed his deep end test, and practically pushed us out of the grounds. “BYE MOM!” No hugs – the guys are watching. He vibrated with enjoyment and independence. We headed back to camp ground one fewer than our accustomed four. You can see pictures of our camping adventures here! 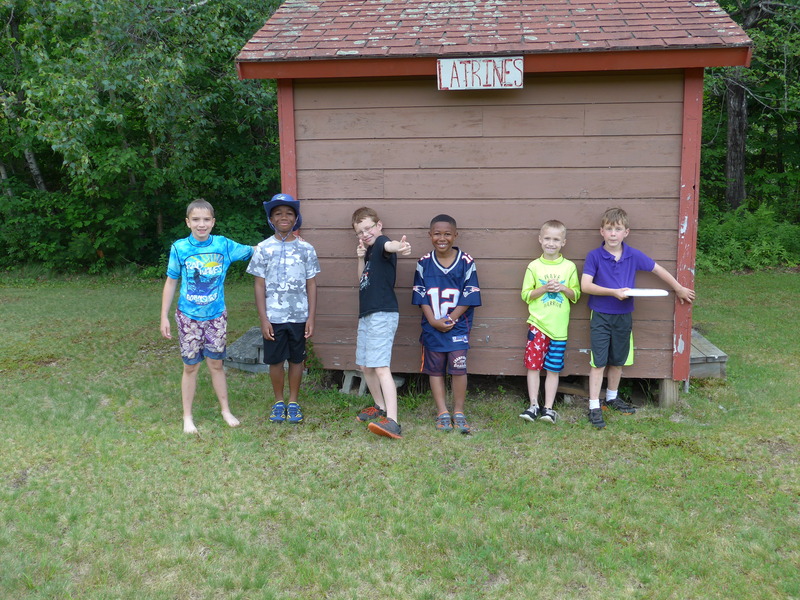 Posted on July 6, 2015 July 6, 2015 Categories Adventures, Camping, ChildrenTags camp wilmot, camping, fourth of july, white lake, white ledge trail, white mountains, women's world cupLeave a comment on Oh brother, where art thou?